You can still watch the original festival trailer for Garrone's Dogman here, to see a bit more footage. Dogman is a film inspired by a homicide committed by a coked-out dog groomer during the late 1980s in the gangland outside Rome. The case, involving hours of torture in a dog cage, is considered among the most gruesome in Italian postwar history. Described as an "urban western", Garrone says "it might seem like a revenge film… but Dogman is also a film about the desperate need for dignity in a world where the law of the strongest prevails and violence seems to be the only way." 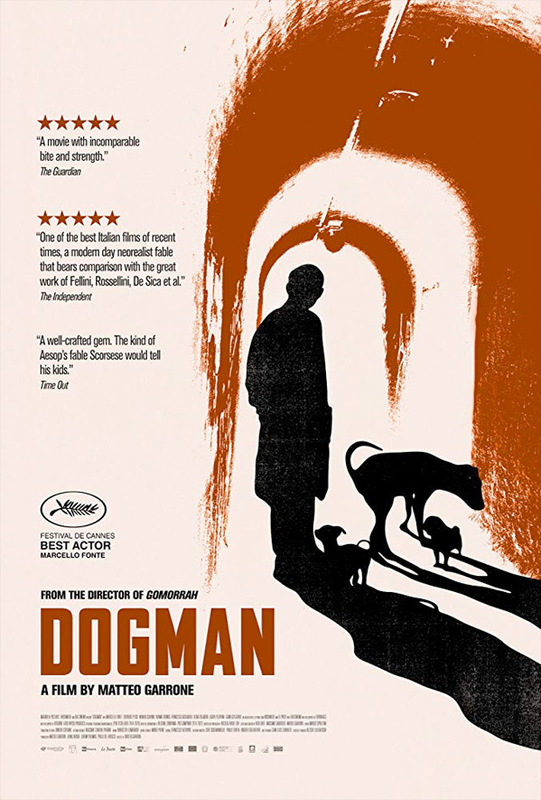 Dogman is directed by acclaimed Italian filmmaker Matteo Garrone, of the films Land in Between, Guests, Roman Summer, The Embalmer, Gomorrah, Reality, and Tale of Tales previously. The screenplay is written by Maurizio Braucci, Ugo Chiti, Matteo Garrone, and Massimo Gaudioso. This premiered at the Cannes Film Festival last year (read our review), and also played at the Telluride, Toronto, Vancouver, and Zurich Film Festivals, as well as Fantastic Fest. Magnolia Pictures will release Garrone's Dogman in select US theaters starting on April 12th, 2019.